On May 31st, the Iowa DNR will dedicate Iowa’s first globally important bird area in Effigy Mounds. What does that mean? Well, this designation of Effigy Mounds means that the area is “vital to birds and other animals.” This designation will ensure the protection of bird habitats and different bird species. In order to qualify as an important bird area, an area must satisfy one of four conditions. Moreover, there are three different levels of importance: Global, Continental, and State. Receiving the designation of a Global Important Bird Area is a distinct honor that both honors the area, but also sheds light on the dire situation of our wildlife. Effigy Mounds qualified as a globally important bird area because the cerulean warbler nests in the area. The cerulean warbler is on the list of “species of conservation concern at a global level.” The list is comprised of species that are classed as critical, endangered, vulnerable or near-threatened species. The cerulean warbler, pictured above and here, prefers nesting within “deciduous lowland forest” with “large diameter trees” and “high closed canopies.” Unfortunately, logging, deforestation and human activity all continue to destroy their natural habitats, not only threatening the birds themselves, but also nesting and breeding habits. 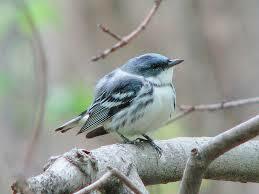 The cerulean warbler is listed as “vulnerable” meaning that there is a very small international total population. 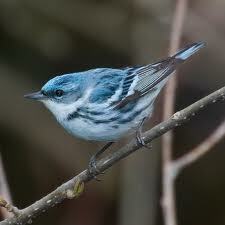 The cerulean warbler is currently under consideration for the Endangered Species List and is on the Audubon Watchlist. A dedication of Effigy Mounds as a globally important bird area will be held on May 31 at 11 a.m. There will be a field trip at 9 a.m. leaving from the Yellow River State Forest headquarters. Click Here for directions. In addition to the cerulean warbler, you can also enjoy sightings of bald eagles, peregrine falcons, blue herons, great egrets and double-breasted cormorants, along with other wildlife like whitetail deer, turkey, squirrels, raccoons, turkey vultures, and chipmunks. If you would like to take a day trip to Effigy Mounds, click here for directions.